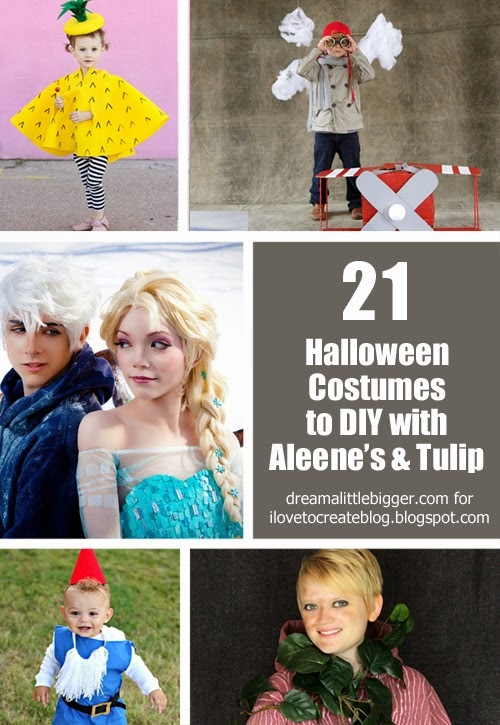 iLoveToCreate Blog: 21 Costumes To DIY With Tulip And Aleene's! 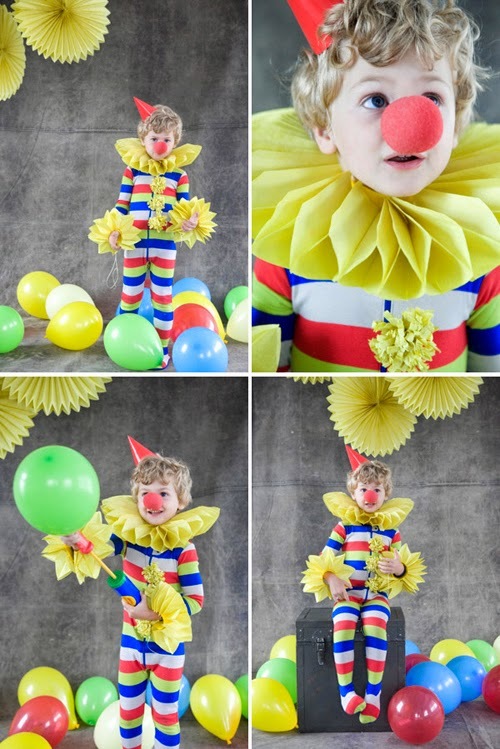 21 Costumes To DIY With Tulip And Aleene's! I like that I'm not exactly like everyone else. 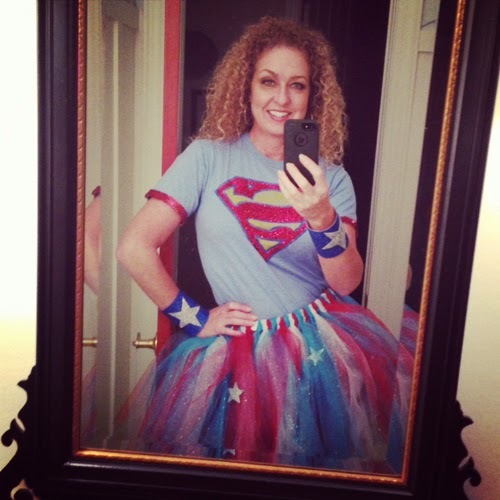 And when it came to Halloween, I didn't want to dress like everyone else. In high school I went dressed in a purple suit with a drawn on goatee and lots of jewelry with my friend dressed similarly. Ever since then, I've thought that DIY costumes were the BEST! 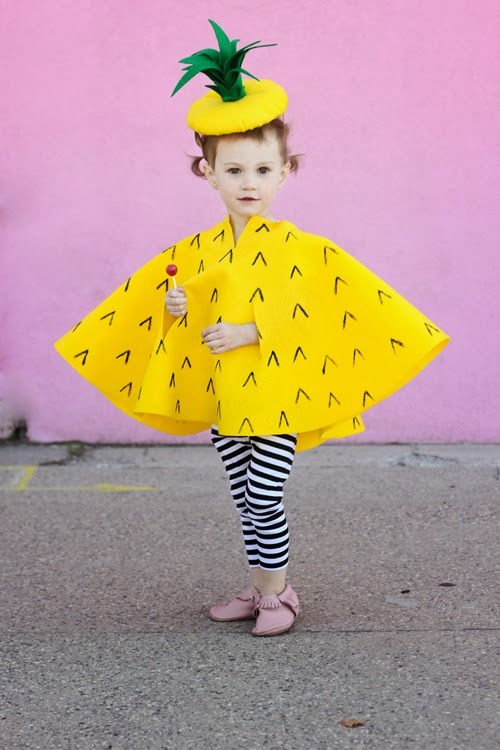 Here are 21 costumes that ROCK that you can make yourself with the help of iLoveToCreate products! I've seen lots and lots of adults dressed up as Sailor Moon characters but never a child. And for good reason. 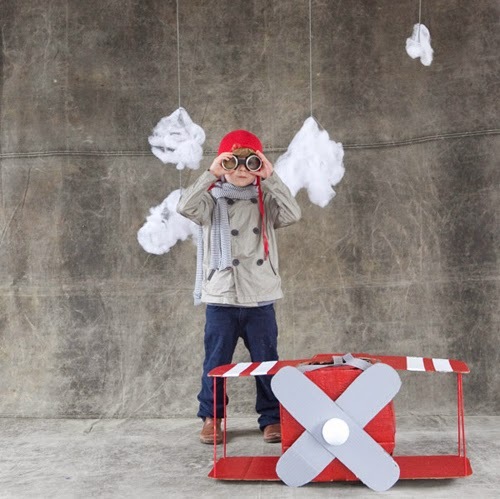 After finding it difficult to locate any reasonably priced costumes for children, one creative momma over at ADDled Adventures set out to make her own. Sailor Moon Costume for Children. 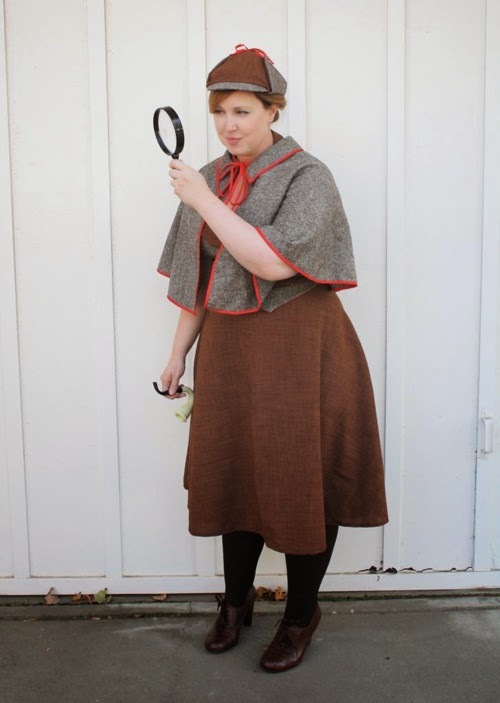 Grab a bottle of Collage Pauge or your favorite Aleene's glue and prepare for one of the funniest (and easiest) costumes I've seen in ages! Remember those terrible pictures we all took in the 90s? 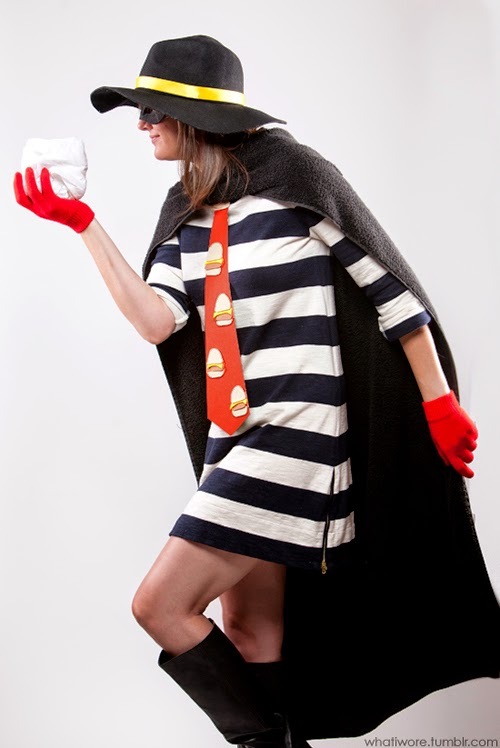 Recreate that awfulness with one super awesome costume! 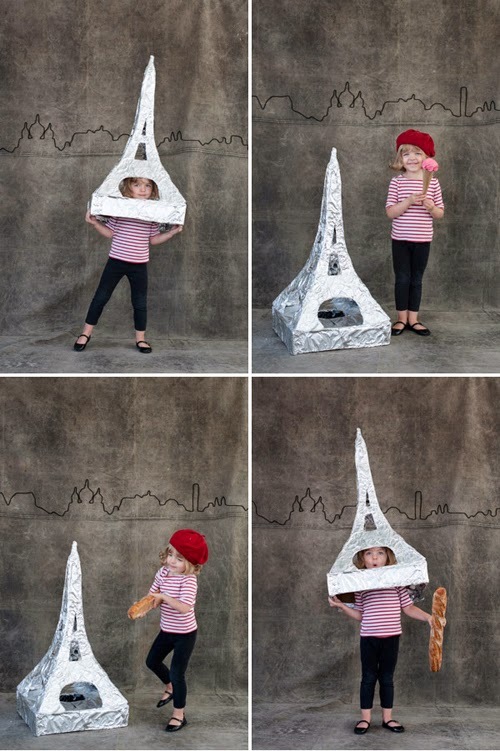 Full tutorial (and free background printable) by Kazmataz at Instructables. 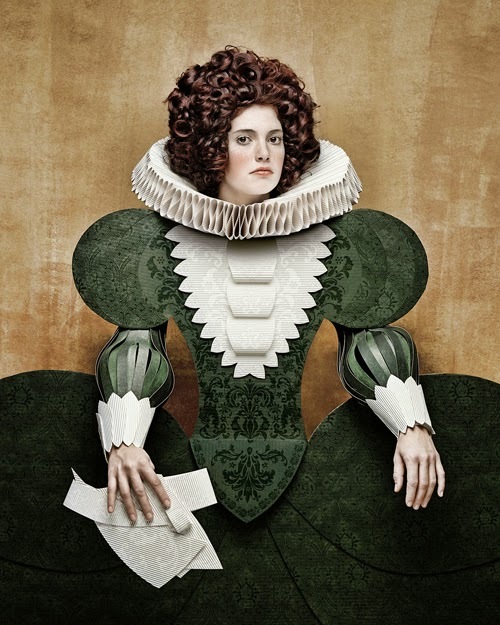 School Portrait Costume. 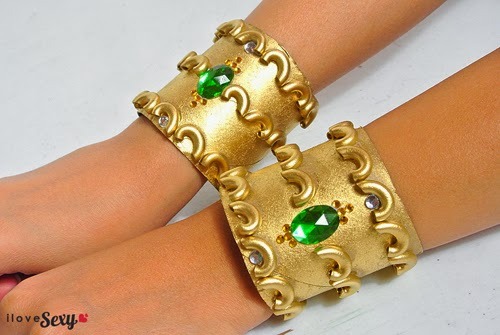 I was so surprised when I saw the tutorial of these Cleopatra golden cuffs over at ilovesexy blog. Now that I know what's going down I can totally see it, but without seeing it, I never would have believed the creative way these suckers were made. Prepare to be amazed! DIY Egyptian Cuffs. Gnomes are adorable! 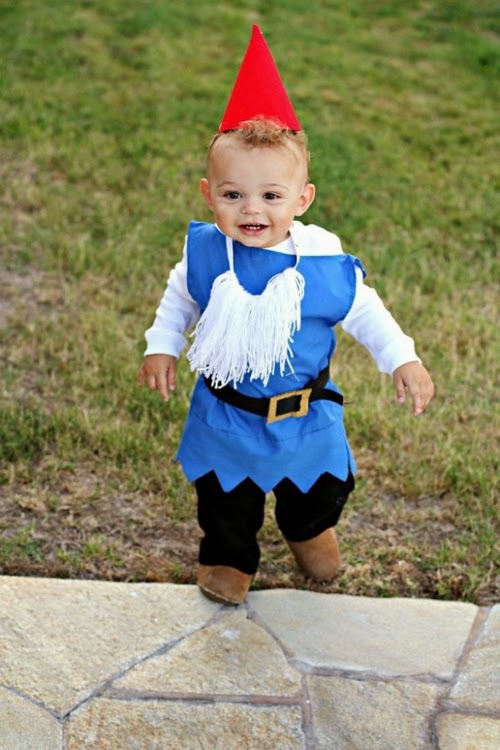 Children dressed up like gnomes fly right off the adorable scale! 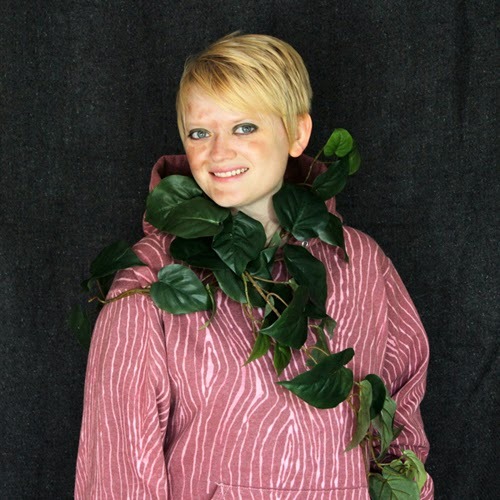 Over at Food Folks and Fun you'll learn how to make a DIY Boy Garden Gnome Costume complete with a little beard! I'm not a huge fan of animated films BUT I love the Corpse Bride so much! And even I would be interested in dressing up like the female lead of this super adorable and interestingly romantic little tale! 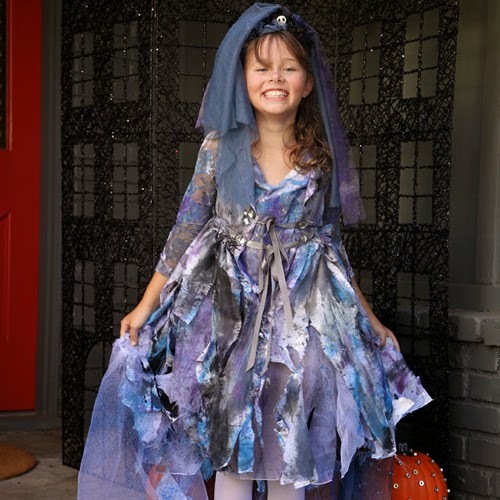 Get your tutorial here at iLTC - Corpse Bride Costume. If there's any one person in music who you can recognize by their weird attire, it has to be Lady Gaga. Even without knowing but snippets of her music, I could still pick that chick out of a lineup from the corner of my eye. 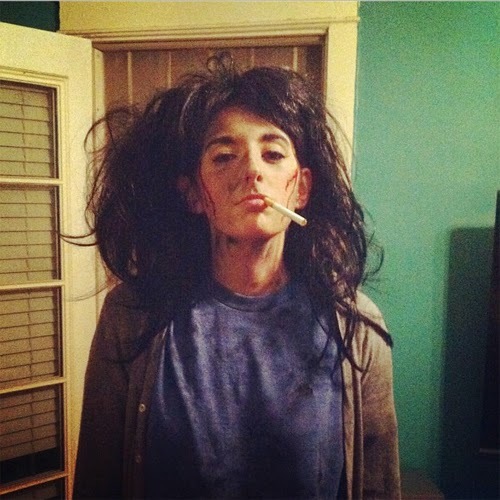 To mimic the look of this eccentric pop icon view the iLTC tutorial DIY Halloween : Lady Gaga. 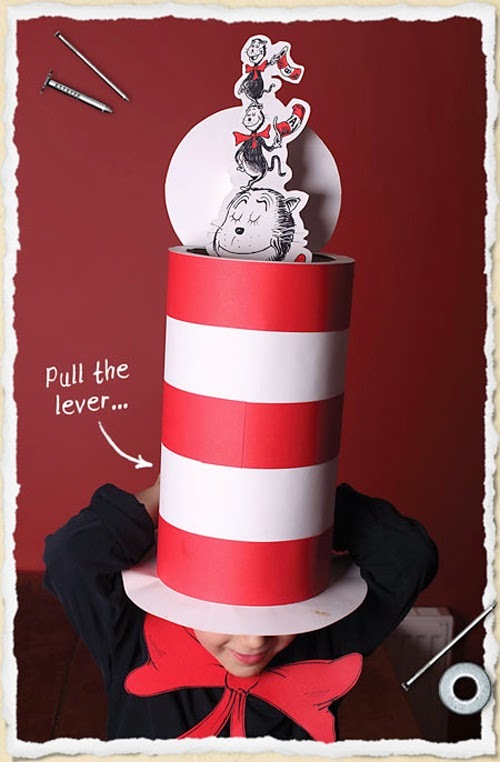 Have you ever wondered how in cosplay they can get a wig to look absolutely perfect and stay that way? I leanred the secret over at Yuurisans Cosplay and & Crafts and it's Tacky Glue! 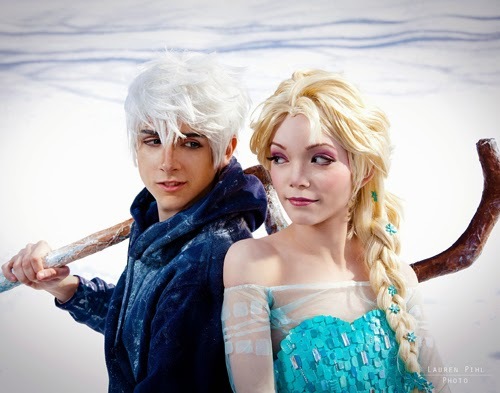 See how to make your own Queen Elsa wig that is absolutely perfect with this tutorial and check out the rest of the costume DIY while you're there! Queen Elsa of Arendelle Ice Dress Construction Notes. My nephews are desperate for me to dress up this Halloween. I've been a steady "NO" and they've resorted to pulling out the big guns. Wouldn't you love to be a CAT? You LOVE cats? 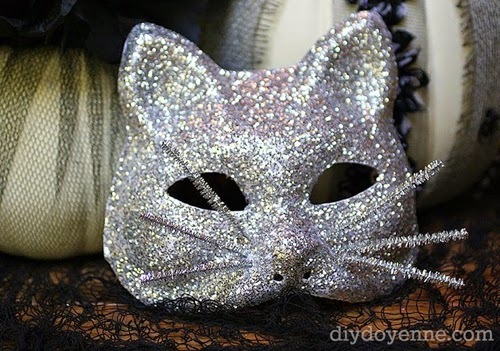 And this mask that combines two of my favorite things, cats and glitter, just might cause me to break. 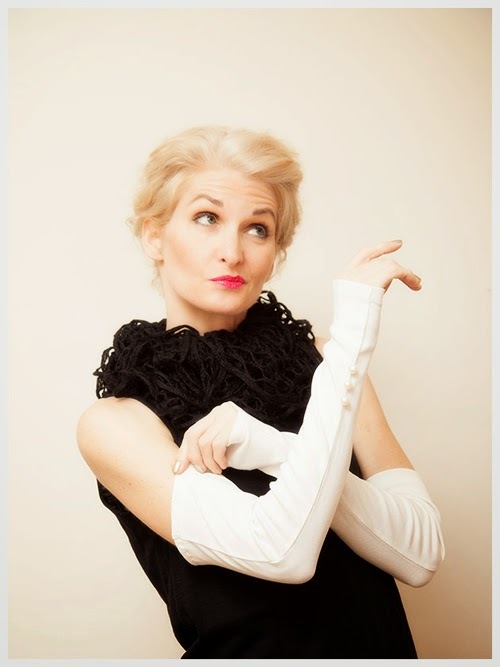 Get the deets at DIY Doyenne. 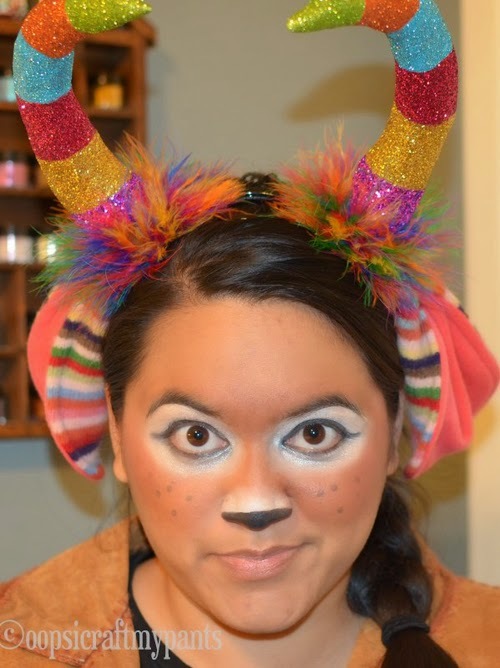 Sparkle Kitty Mask. I hope you enjoyed this post, and if you have feel free to stop by and give me a shout at Dream a Little Bigger!